IT DOESN’T MATTER IF IT'S A BAG OF POPCORN OR A RACK OF LAMB, EATING AND DRINKING GO HAND IN HAND. 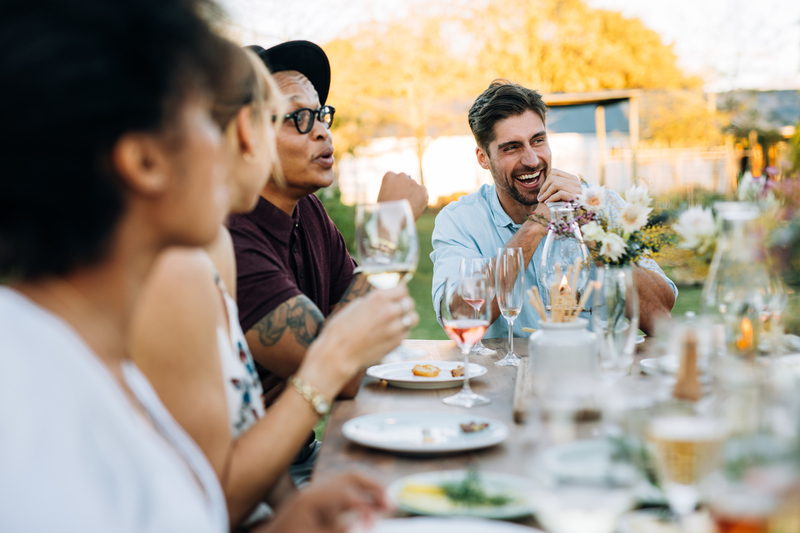 TO MAKE WINES THAT ARE FOOD-FRIENDLY YOU NEED TO STRIKE A BALANCE BETWEEN FLAVOR AND MOUTHFEEL. IT'S TRICKY BUT THERE ARE A LOT OF LEVERS YOU CAN PULL TO ACHIEVE IT. HERE’S HOW WE DO IT. IN CALIFORNIA, RIPENESS IS NEVER IN DOUBT. MATURITY IS. The standard measures of ripeness – sugar, acid, pH – only tell you so much. To achieve the type of balance we’re after, you also have to look at physiological ripeness, aka maturity. So we continuously monitor the development of tannins as well as the phenolic compounds that contribute to the wine’s color, flavor and aroma. The French call this engustment, the stage of ripening when aroma and flavor are varietally correct but have yet to reveal the telltale flavors of over-ripeness: raisins and prunes. 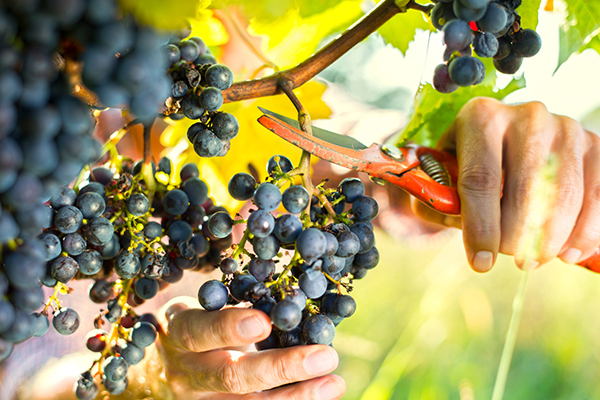 In nearly every vineyard we grow, we are among the first to pick. THE TECHNIQUES WE USE – AND DON’T USE – ARE WHAT DEFINE US. 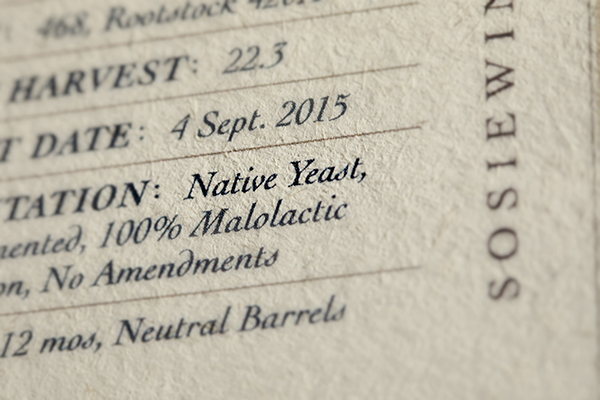 Native Yeast, aka, "wild" or "ambient" yeast, are naturally occurring and can be found on both the berries and in the cellar. Fermenting with native yeast is riskier than using cultured yeasts but we think it's worth it for the added complexity they bring to the wine's aromas and flavors. Traditionally, red winemaking begins with crushing the grapes and de-stemming to separate them from the rachis. A mechanical crusher/de-stemmer is the tool of choice for this. Whole cluster fermentation refers to the fermentation of intact clusters just as they were picked from the vine. Why do this? Texture is the most important reason. That and freshness. But using whole clusters is a bit of a gamble. When it works it provides an aromatic lift along with secondary aromas of white pepper, tobacco and earth. When it doesn’t, you get vegetative flavors. When we can, we include a small percentage of whole clusters in our wines because stems have compounds you don’t find in the fruit and seeds. And those compounds can make all the difference. When you read No Amendments on our label, it’s shorthand for nothing added, nothing taken away. It’s why we rely on ambient yeasts rather than commercial ones. It’s why we pick early to retain the fruit’s natural acids rather than acidify later. It’s why we never add sugar or stabilizers and why we use only enough sulfur to preserve the wines. We think it’s a more honest approach. PART SPICE RACK, PART SCUBA TANK, PART BLACK BOX. Great wines don’t make themselves. To realize the potential of well-farmed fruit requires skill. The skill to recognize how a young wine can become a more complex, more complete wine. This is the concept of élevage – of impelling non-fruit flavors and inducing wine to age gracefully. Oxygen plays a key role in this. As do barrels, which ever so slowly expose wine to small amounts of oxygen. It’s part science, part intuition. Needless to say, we are very particular about the barrels we use – the coopers who make them, the forests they’re grown in, how large they are, how new they are, how much “toast” they receive, and of course, how long the wine stays in them. All of these things contribute to how much oxygen is transferred and how much flavor is imparted. 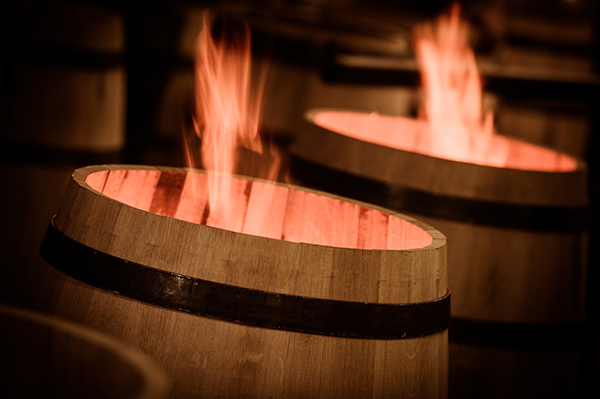 Oak adds aromas to wine – vanilla, spice, clove, caramel. Some of this is desirable, some of it is inevitable, but all of it is manageable. Our approach is to court the effect of oak, not its flavor.